For this week’s nutrition blog, I would like to talk about white sugar and its effects on your body. Now, we all know that cookies, cakes, cheesecake, ice cream, and any kind of dessert tastes really good but the consequences of consuming food made with white sugar can be disastrous to your health. White sugar can cause abdominal obesity, high LDL cholesterol, elevated blood sugar, etc. When you consume a lot of sugar, white sugar in particular, it causes spikes in insulin which can eventually lead to things like diabetes if consumed continually. Have you ever eaten a white bagel with cream cheese in the morning and then experienced a “crash” a few hours later where you feel tired and sluggish? That would be the effects of consuming white sugar. Sugar breaks down quickly and is absorbed into your bloodstream which causes a crash from the overload of sugar spiking your insulin levels. 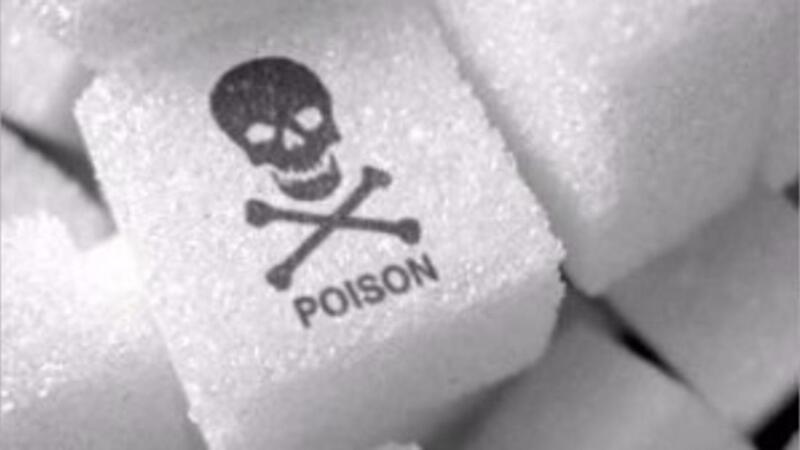 Of course, sugar tastes delicious but it is bad for your health (and fitness goals!) and can be broken down and stored as fat. Americans, on average, consume about 32 teaspoons of sugar per day! That’s way too much. Sugar is addicting and the more you eat it, the more you crave it which does nothing to help your body get healthy and stay in shape. When you consume sugar, it triggers dopamine and the chemicals in your brain that set off the brain’s pleasure center. In other words, it makes you feel happy and you continue consuming it because of that happy feeling. Sugar can affect ghrelin, which is your hunger-controlling hormone, and cause you to feel hungry from the insulin spikes even when you have just eaten an hour or two beforehand. You may start confusing actual hunger with hunger caused by insulin spikes if you consume white sugar on a daily basis. If you’re eating all day because of the sugar you’re consuming that is confusing to your body, then you are most likely not reaching your fitness goals. My advice would be to stick to clean eating: fresh fruits and vegetables, lean proteins, healthy fats from avocados, nuts, whole grains, etc. If you challenge yourself to cut out sugar for two weeks, which is usually how long it takes your body to adjust to dietary changes or new fitness routines, I bet all of the sweet, sugary things you love to eat will start tasting less sweet and you won't crave them as much. You might notice that by eating eggs for breakfast with a bunch of veggies instead of bagels or donuts, you’ll start to feel better and have lasting energy without afternoon “crashes.” Try this and pair it with my workout videos on the site and you will be on your way to a healthy/fit body in no time!